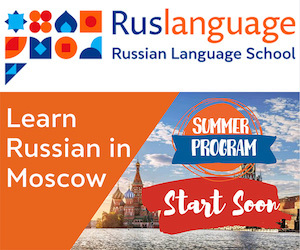 From previous lessons you learned about the six cases and two numbers of Russian nouns. The inflexion of nouns by cases and numbers is called declension (склонение - pronounced as sklah-nye-nee-ye). Depending on case endings all singular nouns are divided into three types of declension. First declension nouns end in -e in the dative and prepositional cases (травe, о травe). Nouns which have initial form ending in -ия (армия, Наталия) get the ending -и in the dative and prepositional cases (армии, об армии, Наталии, о Наталии). Here is a chart that sums up the endings of first declension singular nouns. Second declension nouns are masculine nouns with a zero ending in the initial form (стол, олень, гербарий) and neuter nouns ending in -o, e (небo, полe, поведениe). Second declension nouns in the prepositional case end in -e (об оленe, о небe, о полe). 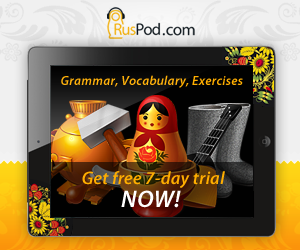 Masculine nouns with an initial form ending in -ий and neuter nouns ending in -ие get the ending -и in the prepositional case. The endings typical of second declension singular nouns are summed up in this table. Third declension nouns are feminine nouns with a zero ending in the initial form (дочь, сирень, тишь). Third declension singular nouns in the genitive, dative and prepositional cases end in -и (у сирени, к сирени, о сирени). This table sums up the endings of third declension singular nouns.